The V-logs. 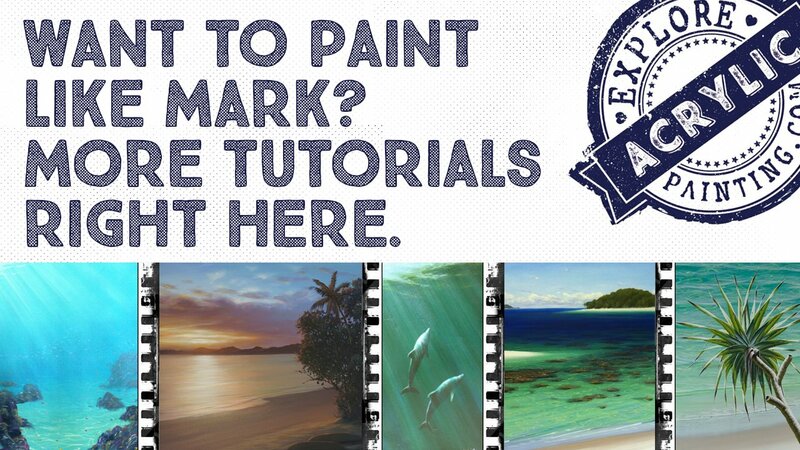 Learn how to paint amazing realism with our downloadable tutorials. Now here!! Mark's downloadable video tutorials. 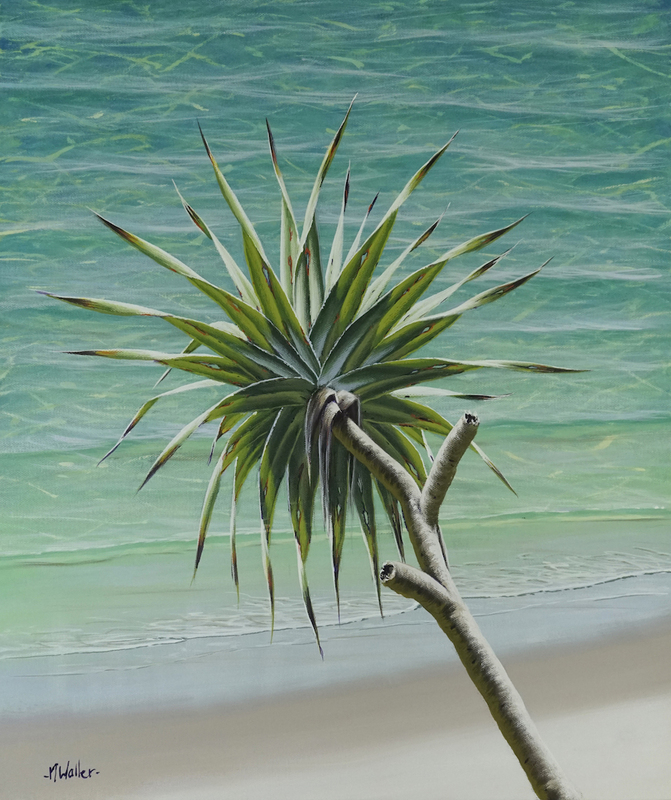 Always wanted to paint pandanus? Discover a simple construction process for this complex subject. ***BONUS*** Free supporting PDF's with your purchase. Streamable video option included with purchase. 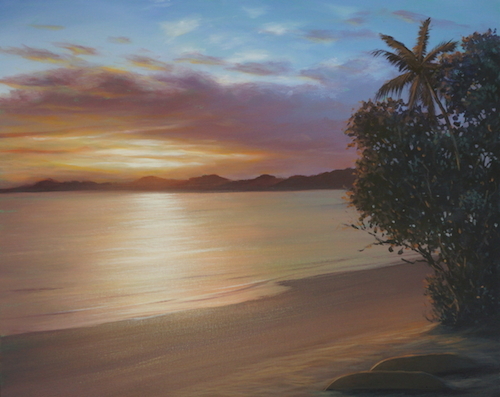 Learn how to paint this gorgeous colour-full, saturated tropical sunset. 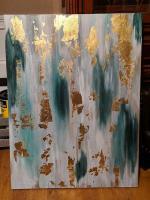 Discover one central concept to change the way you paint forever. ****BONUS*** Free supporting PDFs with your purchase. Streamable video option included with the purchase. 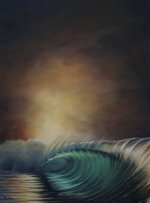 Learn how to paint a moody, muted underwater dolphin family scene just like this one! ***BONUS*** Free supporting PDFs with every purchase. 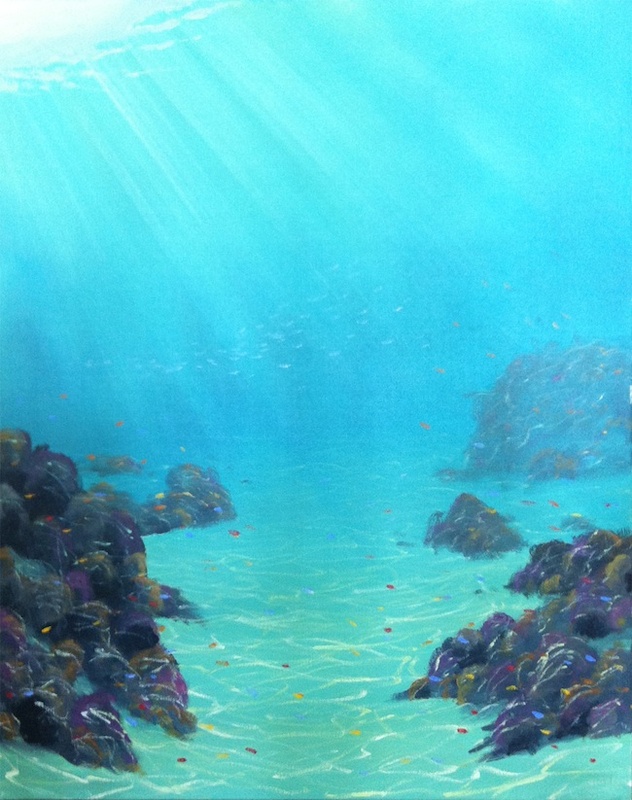 Learn how to paint this gorgeous, luminous, underwater tropical reef scene in just 2 short episodes. 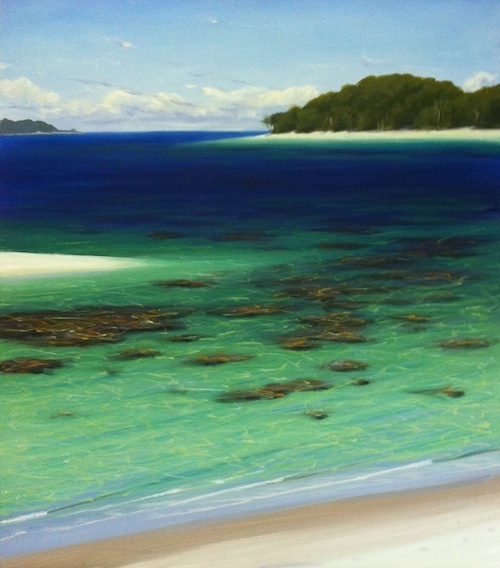 Learn how to paint this bright, tropical beach landscape in 4 short episodes! AND! Episode 1 is viewable FREE.